Benjamin Zucker, Blue, The Overlook Press, 2000. Modeled after the Talmud, this uniquely constructed novel introduces Abraham Tal, a New York diamond merchant who spends his days counseling friends and neighbors from his shop. A first novel. 'Blue' is a multifaceted work that has no beginning and no end, no straight lines, and where the past and present intersect. In that sense, it is a design fabricated to evoke the experience of Kabbalah. At the same time it is constructed like pages of Talmud with a central text that contain the modern story but vaguely evoke relationships and events in the Torah, and with parallel commentaries/stories on the margins, the story spins off in many directions, sometimes off on its own tangents and sometimes bending back on itself to illuminate and elucidate the text. These parellel stories are a comingling on each page of famous Jewish mystics such as Luria, numerous Rabbis of old, with Kafka, Bob Dylan, Vermeer, a Native American chief, and the fictional Tal's parents, taking the form of direct quotes, actual and imagined lives which can be read in any order along with or without the main text. In yet another dimension, this is also a great art book of past and present, combining masters like Van Gogh and Vermeer with photographs of Kafka and Bob Dylan, and of Jewish scholars and students in Poland prior to World War II. The art work, too, also intended as a commentary to interact with the various texts. The central story, which reads like an allegory belongs to Abraham Tal, a New York gem merchant and advice giver, who can't solve his own problems. Among other concerns, he is torn with indecision and regret about whether to marry Rachel Heller. Eventually this leads him on a journey to Safed, the center of ancient Jewish mysticism, presumably to track down the origins of a 16th century Venetian wedding ring, which of course contains a sapphire, but also as a personal quest for spiritual answers. Blue holds many meanings. The most obvious is the blue sapphire gem which narrator, Abraham Tal, is using to make a suite of jewelry. Tal connects the word sapphire to "sefer" which means "book" in Hebrew, and to the giving of the book, the story of Moses finding a blue sapphire at the burning bush and the continuity of a people commemorated in the blue thread of the tallis. There is much more. 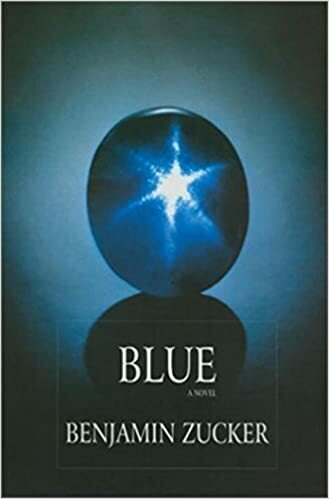 Almost every page refers to a blue stone, blue in someone's clothing, blue walls, blue light. Benjamin Zucker, Green, Overlook Books, 2001. A richly-textured novel, filled with paintings, illustrations, and photographs, details Abraham Tal, a New York gem merchant and advice-giver to his friends and neighbors in Greenwich Village, who has inherited a spectacular realm of voices, including Borges, Breton, Monet, and Melville - all of whom vie for his attention in order to dispense important information. 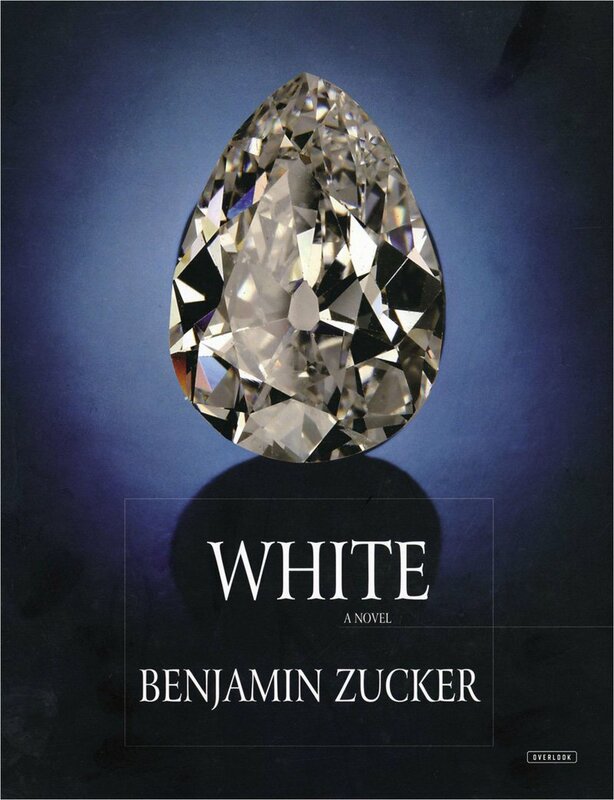 Benjamin Zucker, White: A Novel, The Overlook Press, 2008. 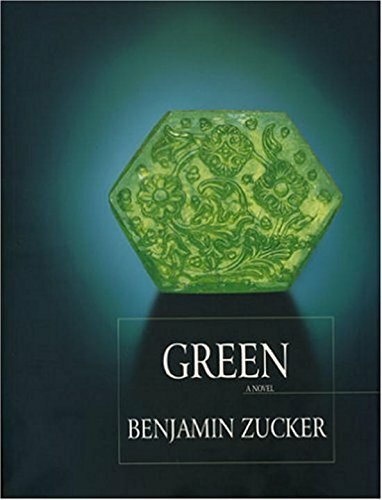 Talmudic in form, sui generis in conception, this novel completes the story of the Tal family, a New York City family in the gem business, begun in Blue and Green. The story is juxtaposed against marvelous images, among them paintings from Mary Cassatt and Vermeer and a collection of photographs, ranging from Bob Dylan, to the Wild West days, to moving works by Roman Vishniac. An extraordinary novel that is at once broad in its outlook and deftly self-referential, White concludes a remarkable family saga.